Democrats release their memo countering the Republican document that alleged surveillance abuses in Justice Department and FBI. House Intelligence Committee Democrats on Saturday released their memo countering the Republican document that alleged surveillance abuses in the Justice Department (DOJ) and FBI, The Hill reported. 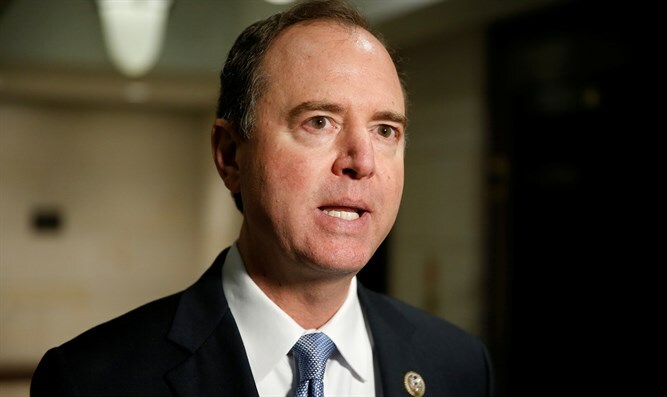 The 10-page Democratic memo, authored by Rep. Adam Schiff (CA), the top Democrat on the committee, was made public after President Donald Trump declassified a four-page Republican memo last month alleging that officials at the FBI and DOJ had abused their powers to spy on a Trump campaign official. The Democrats’ memo charges that committee Republicans were wrong to assert that an FBI investigation of the Trump campaign's possible ties to Russia resulted from the creation of the so-called Steele dossier of unverified claims about Trump's ties to Russia. Also in the document, which includes heavy redactions throughout, is the claim that FBI fact-finding contradicted former Trump campaign foreign policy adviser Carter Page's sworn testimony before the House Intelligence Committee. The memo claims that the FBI was able to corroborate parts of the Steele dossier regarding Page. It also argues that Republicans were wrong to assert that the Foreign Intelligence Surveillance Act (FISA) was used to spy on the Trump campaign, noting that the Justice Department applied for a warrant to spy on Page weeks after he left the campaign. The document also asserts that House Intelligence Committee Chairman Rep. Devin Nunes (R-CA) did not read many of the underlying classified documents that Democrats say contradict his claims. "The Committee Majority's memorandum, which draws selectively on highly sensitive classified information, includes other distortions and misrepresentations that are contradicted by the underlying classified documents," the memo reads, "which the vast majority of Members of the Committee and the House have not had the opportunity to review — and which Chairman Nunes chose not to read himself." Trump blocked the release of the Democrats' memo earlier this month, sending it back to the House Intelligence Committee for changes. This led the Democrats to release their redacted version of the memo on Saturday. Many lawmakers from both parties argued that the American people deserved the right to view the rebuttal since the GOP memo had been released just weeks before. The White House responded to the release of the Democrats' memo Saturday, saying it fails to answer questions raised by the original GOP document made public on February 2. “This politically driven document fails to answer serious concerns raised by the majority’s memorandum about the use of partisan opposition research from one candidate, loaded with uncorroborated allegations, as a basis to ask a court to approve surveillance of a former associate of another candidate, at the height of a presidential campaign,” White House press secretary Sarah Huckabee Sanders said in a statement quoted by The Hill. Trump, meanwhile, blasted the Democrats on Twitter for releasing the memo. “The Democrat memo response on government surveillance abuses is a total political and legal BUST. Just confirms all of the terrible things that were done. SO ILLEGAL!” he wrote. The Republican document had claimed that although the FBI had "clear evidence" that the author of the Steele dossier, former British spy Christopher Steele, was biased against then-candidate Trump, it did not convey this to the surveillance court when making its warrant applications.